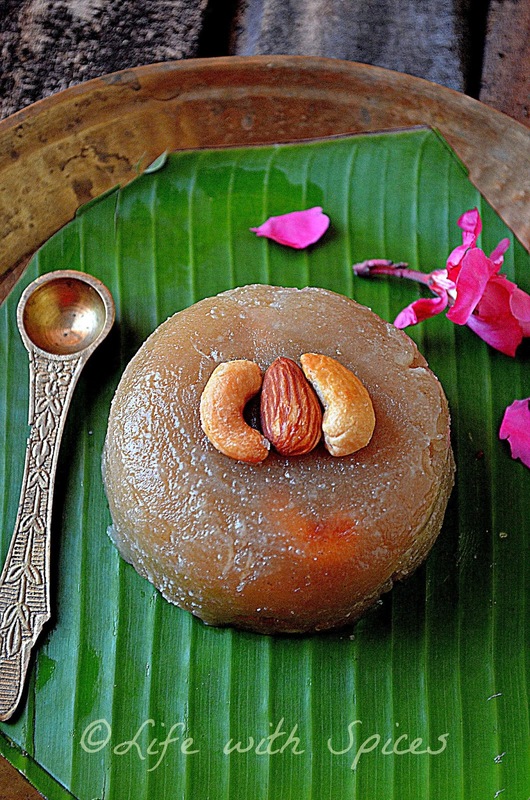 Gud Atte ka Halwa is a popular North Indian recipe. During poojas this is made and distributed. The success of this halwa is nothing but slow cooking on low heat. Tradionally we make Paal Poli (Milk Poli) on Bhogi. But felt deep frying a hassle so ended up with this simple n warm halwa. 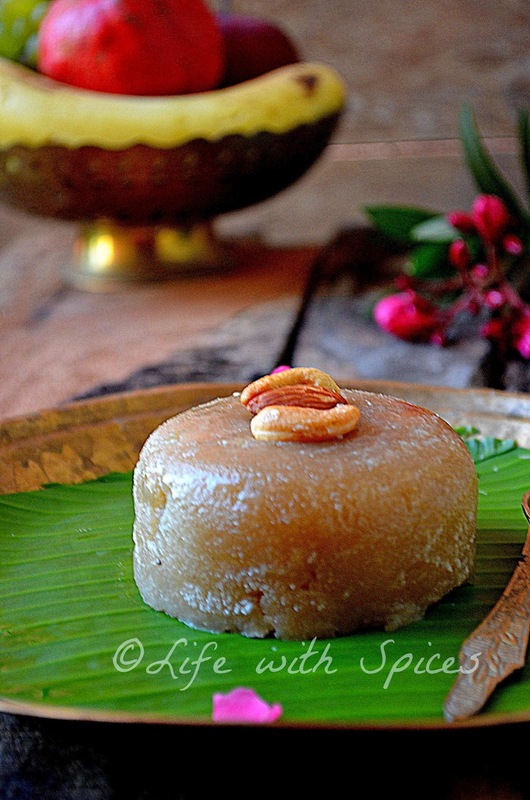 The colour of the halwa totally depends on the colour of the jaggery.. it is best to use fresh ones.. In a heavy pan heat ghee and fry cashews and almonds until golden brown remove and set them aside. Add the wheat flour to the ghee and roast in low heat until the aroma comes approx 8 mins. Mean while in another pan heat water add jaggery and bring to gentle boil and switch off the heat. Add the jaggery water mixture to the wheat mixture and keep stirring in low heat. Keep stirring until the mixture turns smooth this may take approx 8 mins, at this stage add cardamom powder, almonds n cashews and remove from heat. wheat flour and jaggery awesome combinations..definitely tastes good..
Is this the popularly known wheat halwa ?It is delicious indeed. delicious Halwa treat, i wanted to try this Aate Ke Halwa since long...you have made it perfectly!